Are You Miserable at Work? Hundreds of thousands of people wake up each Monday morning dreading their work day ahead, feeling trapped in a job that makes them unhappy. Here is a proven and effective way to find happiness at work without quitting your job, giving up your dreams, or selling your soul. It’s not about finding a new job, following your passion or leaving your cubicle for good. It’s about making your current job work – and ditching the misery aside to be happier at work. What’s the difference between people who struggle with misery at work and those who have found a way to make work, work for them? It’s certainly not quitting your current job to find something “better.” It’s not “following your passion” by ditching Corporate America altogether on a whim. And most importantly, it’s not about accepting that work is supposed to be miserable. In fact, it’s something that you can start changing in the next few minutes, provided you implement what you are about to read. After years of struggling with trying to find happiness at work, I developed a proven system that has since helped clients and friends reignite their passion and engagement at various jobs across the country and improve their overall quality of life. I wrote this book because I believe that you have the ability to change your current work situation without quitting – you can be happy at work, even if you are currently miserable there. I have seen clients transform from unhappy employees to top contributors – while creating a better work/life balance and achieving personal milestones in their “home life.” Being happy at work brings you even more happiness outside of work. I want to help you turn your misery and hate for your job, into satisfaction and love. If you are ready to commit to stop hating your job and start living a fuller life, than this book is for you. Whether your goal is to stay at your current job forever, or to be happier at work for now, this book will provide you several solutions to turn your work-misery into meaning. Step 1: You Have to Kiss a Lot of Frogs – You will be able to identify what is truly making you unhappy at work through determining your Disharmony Dimensions. You will have guidance along the way with the most common areas of discontentment and how to determine from real examples, how each one presents itself in your work environment. Step 2: It’s Not You, It’s Me – Stop hopping onto the gravy train of discontent and instead, make a commitment to this program. Step 3: First Date – Understanding what makes you tick and motivates you at work, will greatly influence how you manage any future bumps in the road. You will determine your top values and motivating factors at work and create your personal balance scale. Step 4: Anniversary Celebrations – If you don’t know where you are going, you’ll never know when you get there. Goals are an important part of this journey, so you will be setting two goals to help you along the way – and see the goals that I set when I was going through this program. Step 5: Lover’s Quarrels – There are bound to be bumps in the road, so knowing how to tackle them will prevent them from becoming derailers. I will also share with you some secret tips that will help you find a better work/life balance without HR finding out! Step 6: Happily Ever After… for Now – It is critical to stay on track, even after you have successfully finished this program. Knowing your next steps and creating your support team to help you get there, will let you write your own Happily Ever After ending. It's time to Stop Hating Your Job! You changed my whole outlook on my current job. I can’t believe I was ready to quit for a lower-paying job, and leave all of this opportunity on the table. I found contentment at work, which has resulted in a raise! And best of all, my wife is thrilled that I am much easier to be around at home (not to mention I’m home more now). I recommend this book to anyone who is struggling with their job. Cary T.
I wish this book would have come out sooner! For the first time, I don’t have the Sunday night blues and I look forward to going to work on Monday. I enjoy trying to beat my check-in date goals each quarter, and so far it has resulted in the best year at work I’ve had to date. I have urged all of my friends to get a copy – and I would absolutely recommend it to anyone who is unhappy at work. 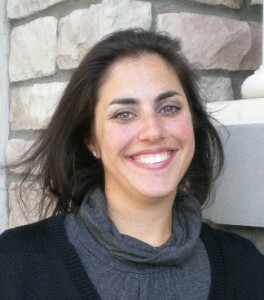 Sarah W.
My name is Melissa Anzman and I help people fall in love with their jobs for a living over at Launch Your Job. I am a former Human Resources leader at various companies across the U.S. and a reformed miserable worker bee. I have dedicated my career to helping people be happy at work and make their dream job a reality whether that be in a corporate job or as a entrepreneur. Through my coaching business, I have been lucky enough to work with CEOs, mid-level managers, manufacturing line employees – and everything in between. No really, stop. There is no reason to continue being so unhappy at work when there is an easy solution available. I know you will learn a ton from this book – it contains everything that I learned along the way (the hard way mind you), and has been proven by my clients at different levels of their career. This book will help you turn your work misery into meaning. Sales pitches are not my thing – so I’ll skip the hoopla. At $27, $10 you are getting incredible value and actionable steps to start enjoying your job without having to find a new one. This book will help you claim your life back, because being unhappy at work, negatively impacts your life outside of work. How much time and effort will you waste on trying to land a new job… and find out it’s just as bad (if not worse) than your current one? Wouldn’t you rather find out a real, applicable solution to make work better for you, regardless of where you work? 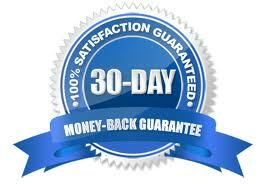 I am so committed to helping you be happy at work, that if for any reason you are not entirely satisfied with your progress, I have a 30 day money-back guarantee. This book includes the strategies and tactics that I have used myself, as well as with hundreds of clients, to stop hating our jobs. If you are ready to make the commitment to follow my advice and take action, then I am excited to help you along the way.